The TTABlogger has been suggesting recently that the bona fide intent issue was one to keep an eye on. [See the relevant portions of the articles here (Section VI) and here (Section II).] Well, the issue hit the fan in L.C. Licensing, Inc. v. Berman, 86 USPQ2d 1883 (TTAB 2008) [precedential]. Applicant Cary Berman, appearing pro se, lost this opposition not only on the ground of likelihood of confusion, but also on the ground that he lacked a bona fide intent to use the mark ENYCE on custom automobile accessories. 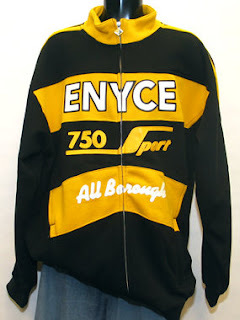 Likelihood of confusion: Opposer is the owner of the registered mark ENYCE for various clothing items and accessories. The Board found it to be a strong mark, but Opposer's evidence fell short of proving the mark to be famous. The real issue was, of course, the relatedness of the goods. Opposer directs its sales efforts to the urban lifestyle market, of which clothing, jewelry, automobiles, and automotive accessories are an integral part. Much of the jewelry "replicates automotive wheels and rims." The Board took judicial notice that "the licensing of commercial trademarks on 'collateral products' has become a part of everyday life." Opposer has used its mark on a variety of products (but not autos or accessories), and the record showed that the clothing brand marks EDDIE BAUER and L.L. BEAN have been used on automobiles. The urban lifestyle brands SEAN JOHN and MARK ECKO have been licensed for use with automobile wheels and vehicles, respectively. The Board therefore found "an association between urban lifestyle clothing and custom automobile accessories." It presumed that the parties' goods would be marketed to "all normal classes of purchasers," which would include ordinary consumers. Many of the goods are relatively inexpensive and would be purchased on impulse; consequently "such goods are held to a lesser standard of purchasing care." Finally, in light of Applicant's incredible testimony as to his adoption of the ENYCE mark, the Board concluded that he acted in bad faith, with the intention of trading on opposer's mark. Considering the relevant du Pont factors, the Board found confusion likely and sustained Opposer's Section 2(d) claim. “absent other facts which adequately explain or outweigh the failure of an applicant to have any documents supportive of or bearing upon its claimed intent to use its mark in commerce, the absence of documentary evidence on the part of an applicant regarding such intent is sufficient to prove that the applicant lacks a bona fide intention to use the mark in commerce as required by Section 1(b)." Applicant Berman admitted in discovery that he had no documents evidencing an intent to use his mark on custom automotive accessories. In his discovery deposition testimony, Berman offered "no facts which explain or outweigh the failure ..., when he filed the application, to have documents which support his claimed intent to use ..." His testimony that he intended to use the mark on shift knobs "does not suffice to establish a bona fide intention to use the mark." "The mere assertion of an intent to use the mark without corroboration of any sort, whether documentary or otherwise, is not likely to provide credible evidence to establish a bona fide intention to use the mark. The context of the other answers given here detracts, rather than contributes, to the credibility of the assertion and thus supports the conclusion that applicant has not established a bona fide intention to use the mark when he filed the application." And so, the Board concluded that Berman did not have the requisite bona fide intention to use his mark at the time of his ITU application, and it sustained the opposition on this ground. TTABlog comment: I don't think the Board was very impressed with Mr. Berman, do you? More importantly, though, what does this precedential decision mean for all of us trademark practitioners? Do we always collect documentation before filing an intent to use application? Do we ask whether the client has any? Do we ask ourselves, how we will prove a bona fide intent should that issue arise? And what about foreign applicants who, in Section 44 and 66 applications, must claim a bona fide intent to use their marks in this country? How are they going to prove their bona fides. [In that regard, see the second article referenced above]. In any case, it appear that the Board has provided TTAB practitioners with a promising avenue of attack on ITU applications that nicely complements the potential line of attack on use-based applications. If challenging an ITU, explore the bona fide intent issue. If challenging a 1(a) application, think fraud.